This post may include affiliate links. If you make a purchase, I’ll earn a small fee at no extra cost to you. Let’s not mince words here, folks: garlic is essential. 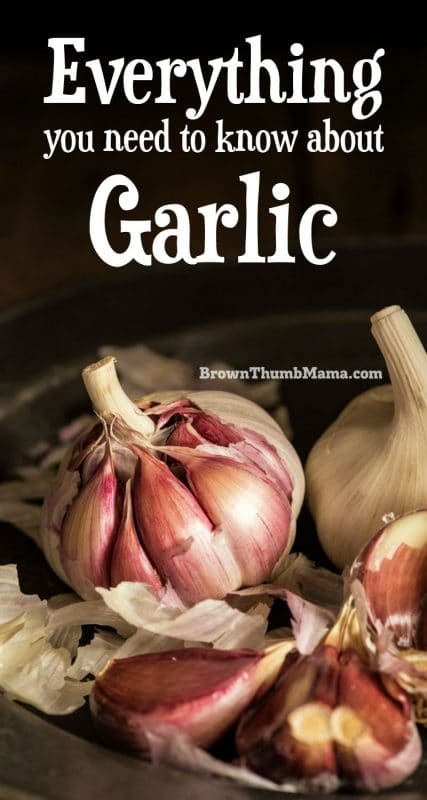 Garlic is easy to grow, amazing to cook with, and can even be used to improve your health. 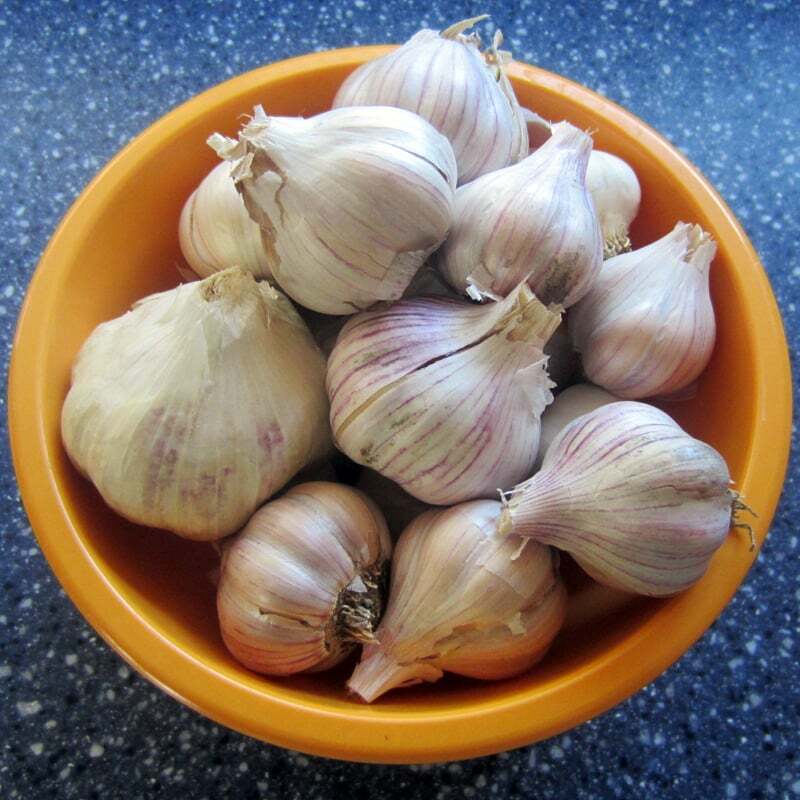 People have been eating garlic for thousands of healthy, vampire-free years. It’s even mentioned in the Bible (Numbers 11:15) and by Shakespeare, in A Midsummer Night’s Dream. Whether you’re adding fresh garlic scapes to a stir-fry, seasoning a roast chicken with garlic and lemons, or simply making garlic bread, you’re sure to have a delicious meal. While you’re enjoying your dinner, you may get a little healthier too. Eating garlic can help with high cholesterol, high blood pressure, and the common cold. In fact, PubMed contains more than 5,500 scientific studies on the use of garlic for better health! If you love eating garlic but don’t want garlic breath: chew a bit of fresh parsley to neutralize the garlic odor. Garlic’s species name is Allium sativum. If you studied Latin in high school, you’ll recognize that the allium name means that garlic is related to onions, shallots, leeks, and chives. There are two major varieties of garlic, hardneck (ophioscorodon) and softneck (sativum). There are hundreds of varieties of garlic in existence—many more than the one plain type that you see at the grocery store. Some unusual varieties I’ve seen are Transylvanian, Godfather’s Italian, Persian Star, Nootka Rose, and Georgian Fire. 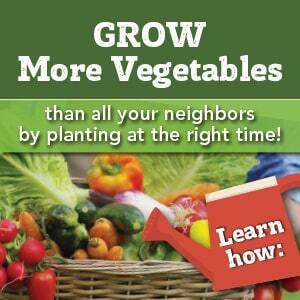 How do you know which type to buy and plant in your garden? Some varieties grow better in certain climates, and different types of garlic have different flavor. Learn more about the different types of garlic, and how to choose the best type of garlic to grow in your area. 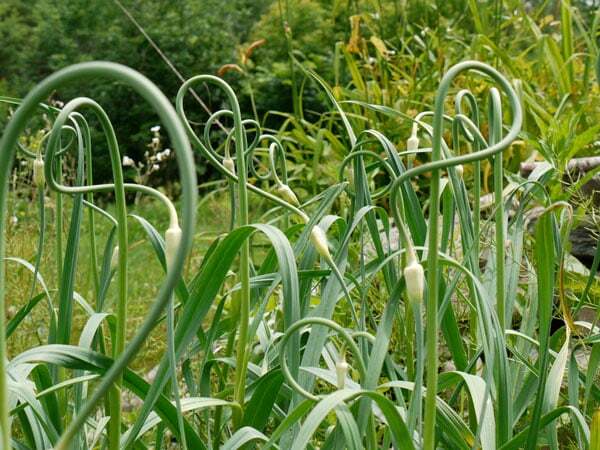 You can grow garlic here or there — you can grow garlic anywhere! Garlic is amazingly easy to grow. Each clove that you plant (the picture below is a clove) will grow into a complete head, or bulb, of garlic. 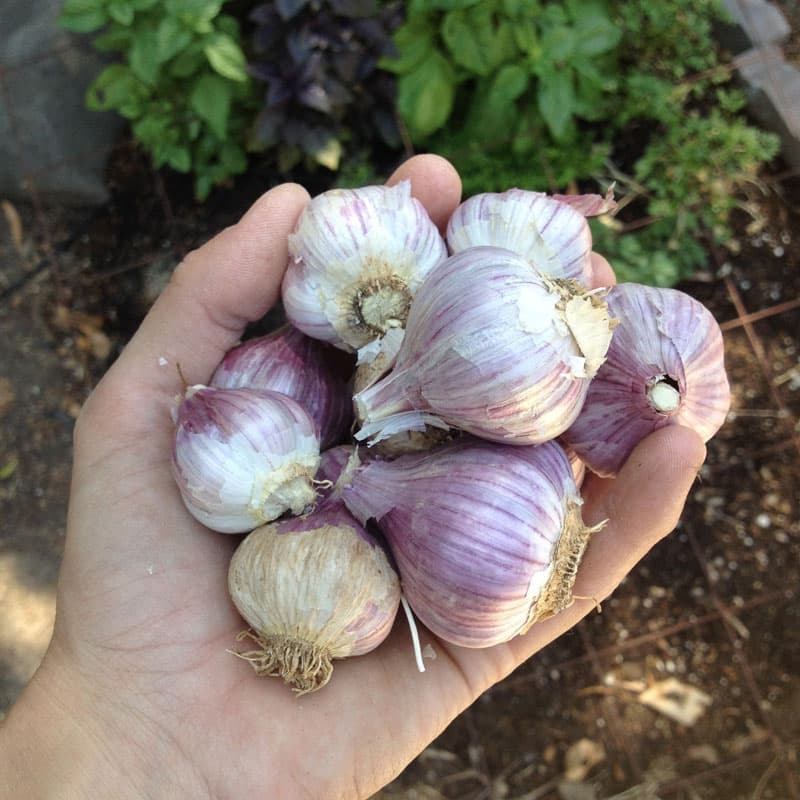 I like to grow a few different types of garlic each year, with different flavors and heat or spice levels. 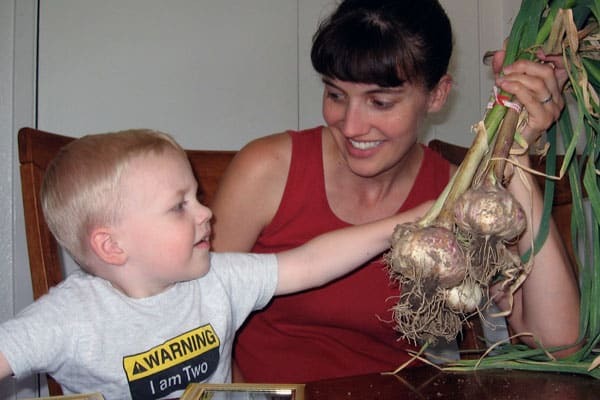 Here are easy tips and instructions for how to plant and grow garlic. Once you’ve planted your garlic, how do you know when to harvest it? Garlic bulbs grow completely underground, so you can’t just look at them and know when it’s time to harvest. How do you know when it’s time to harvest your garlic? There are several tell-tale clues that will guarantee that you’re harvesting at the right time. 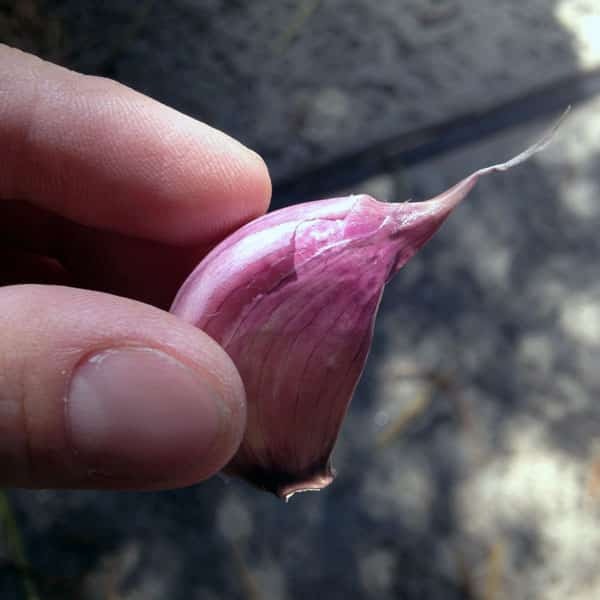 Here are the best tips for how and when to harvest your garlic, and how to cure it so you can store it without sprouting. Garlic is essential in the kitchen! 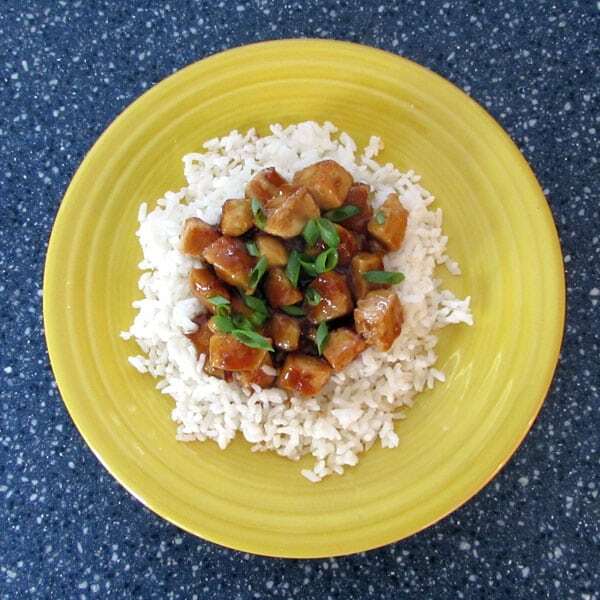 Your entire family will love this copycat recipe for Panda Express Honey-Garlic Chicken. It’s flavorful, easy to make, and is ready in 20 minutes. Save this recipe for the summer, when basil is growing like crazy in your garden. 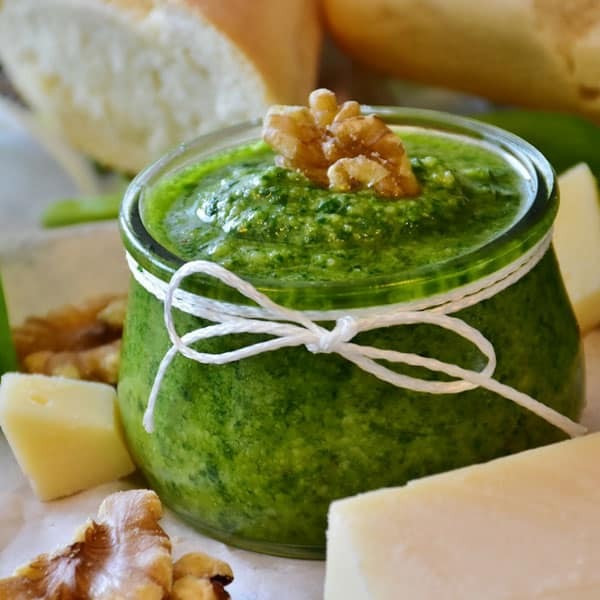 This easy recipe for Basil & Garlic Pesto has a secret ingredient that cuts the cost in half. While it’s not possible to have too much garlic, you may have more than you can use before it begins to sprout. It’s easy to freeze garlic in small portions to use in stir-fry, soups, and lots of other recipes. Don’t want to freeze your garlic? No problem. 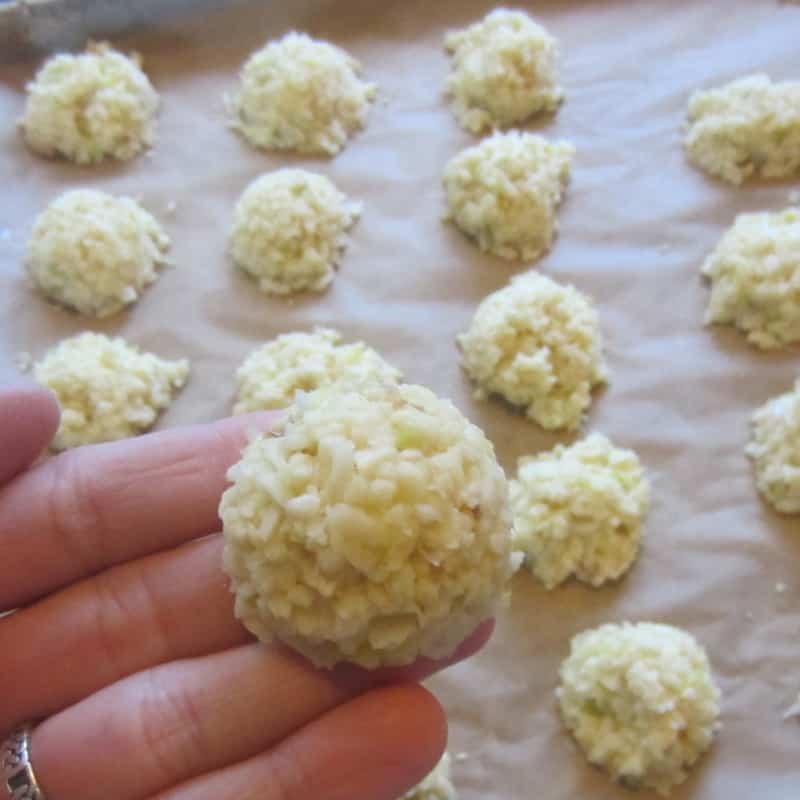 It’s easy to dehydrate garlic and make garlic powder or garlic salt using these tips from my friends at Self Reliant School. Because garlic is naturally antimicrobial, antiviral, and antibacterial, it’s great to use for your health. These healing properties are wonderful in helping to relieve earaches. Don’t just pop a garlic clove in your ear, though…you’ll want to use a specific willow-garlic ear oil listed in the article for maximum relief.